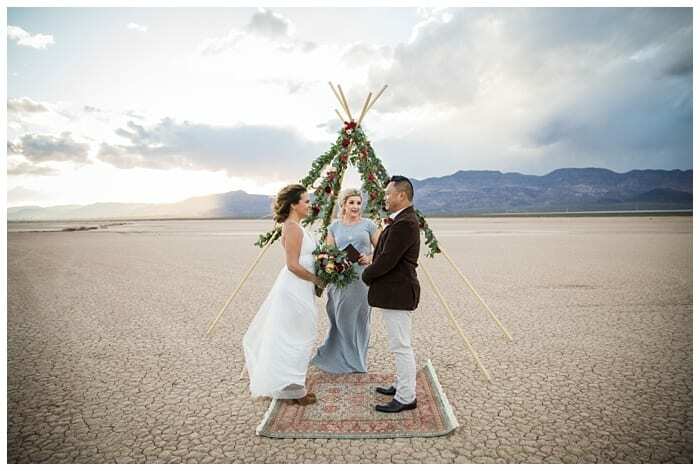 If magnificent horizons as far as the eye can see sound like the perfect elopement setting, then, Eldorado Dry Lake Bed in the Mojave Desert will not disappoint. The intimacy felt on such a huge stretch of land is fantastical. Our couples who choose this spot from our Destination Elopement Packages to Las Vegas are happy they took the adventure. From the dazzling brightness of the strip to a romantic nuptials setting 30 minutes away, you’re getting the best of both worlds. 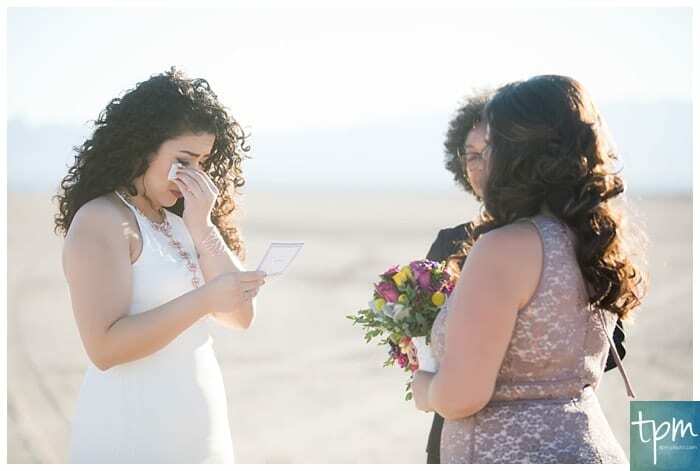 Eloping in Vegas is the exciting way to make it official, and when you head out to the vast expanse of cracked earth surrounding this Great Basin valley, you feel like you’re walking across another planet. Your professional photographer is a key player in our Las Vegas Elopement Packages All Inclusive; only the very talented can capture the mood, romance and commitment a couple expects in their elopement portfolio. Eldorado Dry Lake Bed offers barren beauty for creating a large variety of wedded styles, colors and themes. It’s all about gleaming sunshine in daylight and seductive shadows at dusk. The spotlight centers on you, adding sensuality and depth to this stunning, flat landscape. Tying the knot there offers a one-of-a-kind experience through our Destination Elopement Packages. Eloping in Vegas allows you the freedom to relax and design the day around your nuptials. 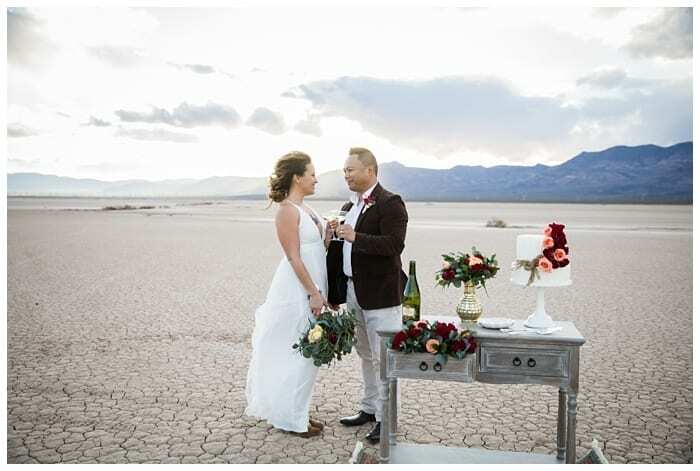 The Eldorado Dry Lake Bed sits near Vegas and Boulder City, and there are multiple fun activities to consider when choosing one of our Las Vegas Elopement Packages All Inclusive. Biking, camping and horseback riding are just a few, and your talented Las Vegas photographer can record your special moments. Elopement is extremely personal; let us help make it happen.